The price is moving below the local minimum and forming the third wave. I’ve moved the stop on my sell order into the black. 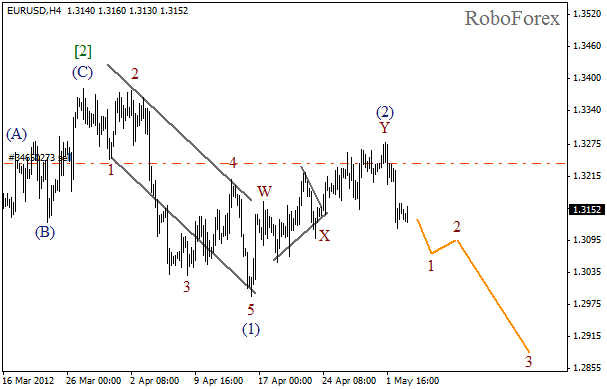 In the near term, we can expect the pair to continue moving downwards while forming wave (3). More detailed wave structure is shown on the H1 chart. Wave (2) has been finished in the form of zigzag pattern. On the minor wave level the price is forming wave 3. Most likely, the pair will continue falling down during the next several days. 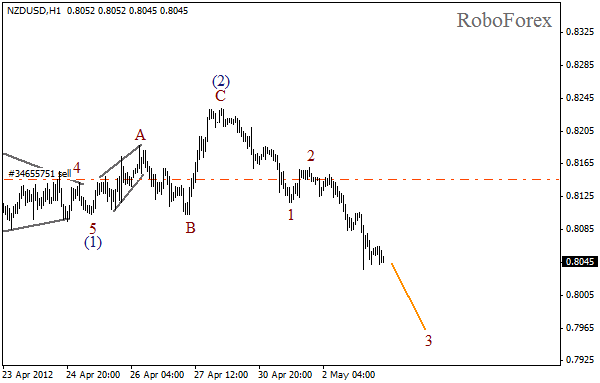 After completing double zigzag pattern in wave (2), the price started falling down again. On the minor wave level we can see the formation of wave 1. All these factors indicate that the pair may continue falling down. More detailed wave structure is shown on the H1 chart. As we can see, the price is forming a descending impulse in wave 1. 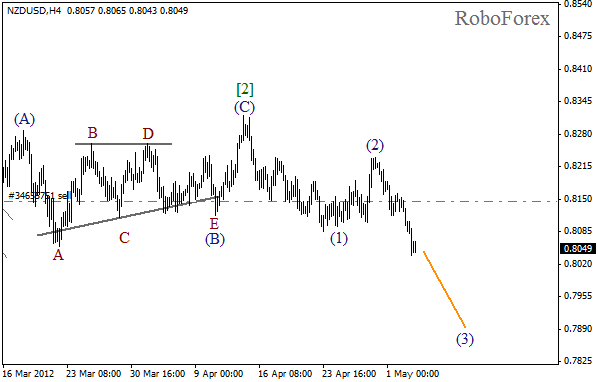 After making a fast descending movement yesterday, the market is being corrected. 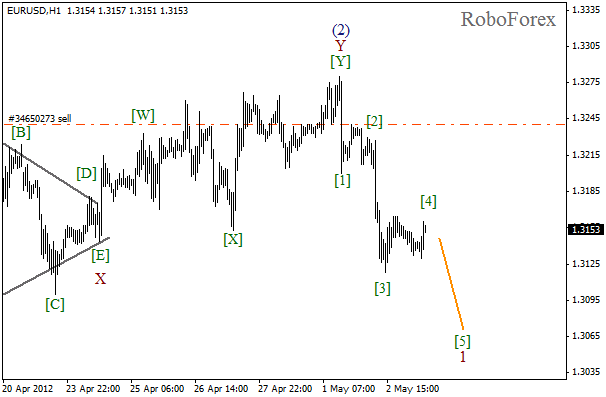 In the near term, we can expect the price to complete the fourth wave and start moving downwards in wave  of 1.